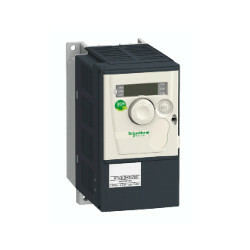 Variable speed drive ATV12 - 0.18kW - 0.25hp - 100..120V - 1ph. Network number of phases: Single phase. Variable speed drive ATV12 - 0.18kW - 0.25hp - 200..240V - 1ph. Network number of phases: Single phase. Variable speed drive ATV12 - 0.18kW - 0.25hp - 200..240V - 1ph - lot of 14. Network number of phases: Single phase. Variable speed drive ATV12 - 0.18kW - 0.25hp - 200..240V - 3ph. Network number of phases: Three phase. Variable speed drive ATV12 - 0.37kW - 0.55hp - 100..120V - 1ph - with heat sink. Network number of phases: Single phase. Variable speed drive ATV12 - 0.37kW - 0.55hp - 200..240V - 1ph - with heat sink. Network number of phases: Single phase. Variable speed drive ATV12 -0.37kW -0.55hp -200..240V-1ph- w heat sink-lot of 14. Network number of phases: Single phase. Variable speed drive ATV12 - 0.37kW - 0.55hp - 200..240V - 3ph - with heat sink. Network number of phases: Three phase. 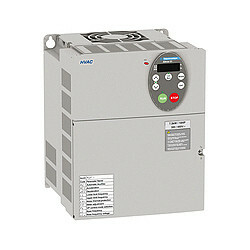 Variable speed drive ATV12 - 0.55kW - 0.75hp - 200..240V - 1ph - with heat sink. Network number of phases: Single phase. 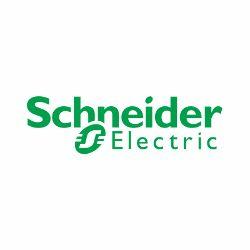 Variable speed driveATV12 -0.55kW -0.75hp -200..240V -1ph -w heat sink-lot of 14. Network number of phases: Single phase.